Do you want to experience the city off the beaten track? 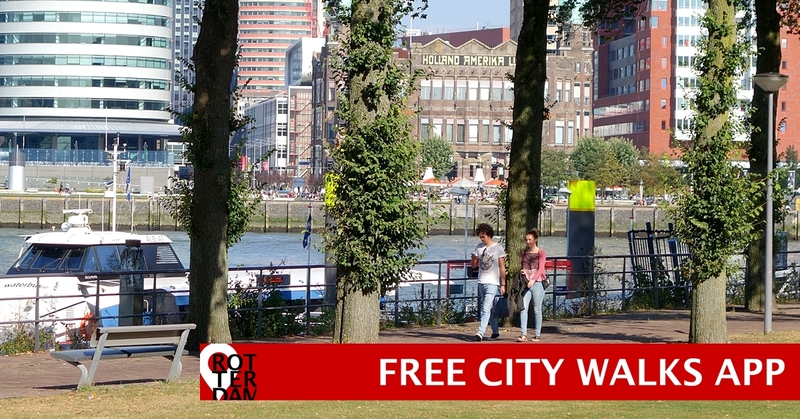 Start exploring Rotterdam on foot, guided by prominent locals. In many ways, Rotterdam is a pedestrian-friendly city. First the rectangular streetplan, wide sidewalks, and good crosswalks are certainly in favor of cityhikers. 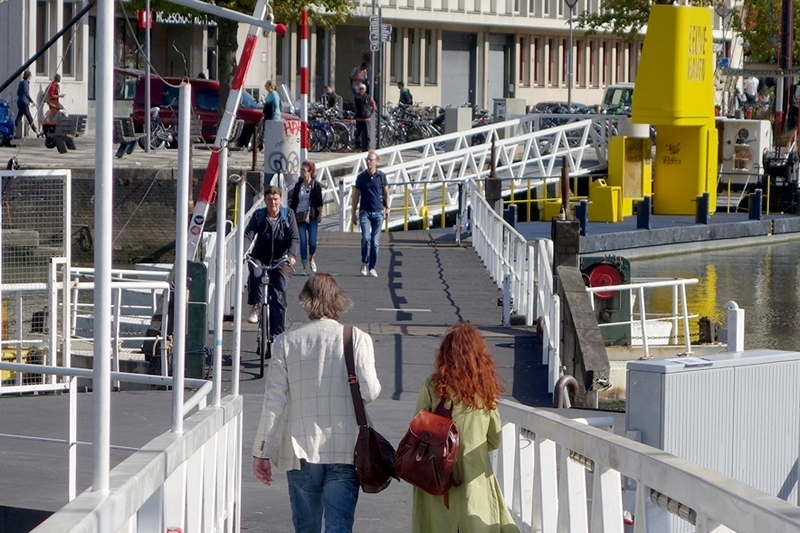 Second, Rotterdam is working on areas where cyclists and pedestrians have priority over cars. And last but not least, because of the Rotterdam Routes app, that presents some exciting walking routes. Each route represents a theme, based on preferences of a local ‘guide’. Prominent citizens lead you along their city highlights, pointing out particular facts and striking details. Actually, we don’t believe in ‘best kept secrets’, but this app reveals some very interesting Rotterdam clues. The mobile audio tours are easy to use, because of push navigation. So don’t be afraid to get lost. Fear no exhaustion either, because these routes all take about one and a half hours maximum. And you can easily start at any point you like. Lord Mayor of Rotterdam. An incredible skyline, modern architecture and a international port. Your guide is mayor Ahmed Aboutaleb. Real Rotterdam. A trip through colourful streets, mysterious alleyways, and obscure lanes. Your guide is director/scriptwriter Ari Deelder. Rotterdam Icons. 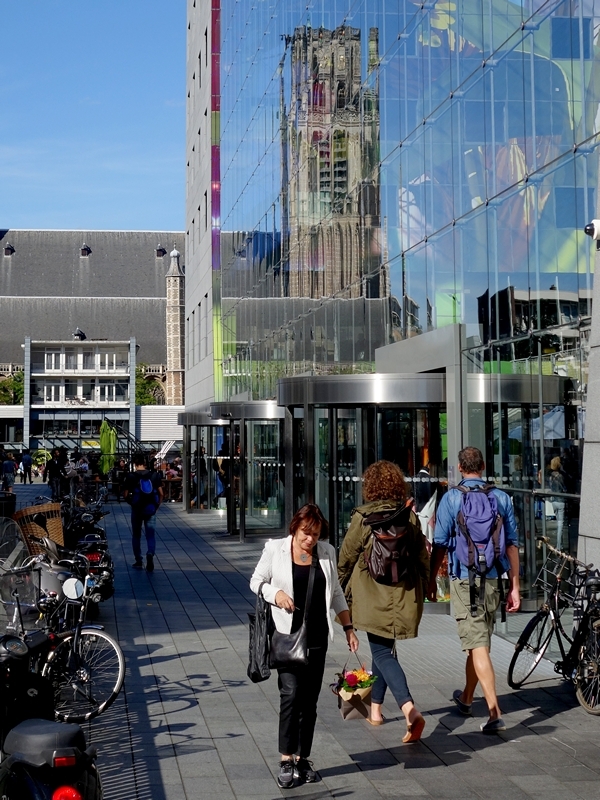 Walk along streets, buildings and statues that belong to the great icons of Rotterdam. Great residents from past and present. Your guide is culture connoisseur/architecture fan Erik van Broekhuizen. Old & New Rotterdam. Exploring Rotterdam by archaeological finds, historical buildings, trendy vintage shops. Your guide is journalist/columnist/fashion designer Hasna El Maroudi. Rotterdam Port City. Quays, cranes, docks, bridges and ships. Walking the Erasmus Bridge to the Southbank. Discover the origins of Rotterdam as a world port city. Your guide is actor Leo Hogenboom. Art & Poetry. Discover the stories behind some remarkable sculptures. Your guides are artist Gyz La Rivière, and city poet Hester Knibbe. Urban Creatives. Little streets, historic buildings, interesting spots in the ‘Old North’ of Rotterdam. Your guide is entrepreneur Roos Roffa. Student Route. Exploring Rotterdam from the creative Witte de Withstraat to industrial Katendrecht, and the lively Oude Haven. Your guide is professional resident Sjoerd van Oortmerssen. Rotterdam Naturally. Special trees, old parks, new urban nature. Discover the green side of Rotterdam. Your guide is writer/presenter Dore van Duyvenbode. Jazz Route. A walk along important jazz venues from the past and the present. Your guide is writer/jazz expert Hans Zirkzee. Rotterdam Reconstruction Route. Unique architecture, cultural changes and other results of 75 years of recontructing the city. Your guide is presenter/producer Malique Mohamud. Fire Boundary Rotterdam. This route marks the part of Rotterdam that was completely destroyed during the WWII bombing, 14 May 1940. Your guide is rapper Winne (Winston Bergwijn). Visitors can download this FREE app in Dutch and in English. And some walks are even translated in Mandarin Chinese.